We had an amazing weather this weekend, it was 30C on Saturday… beautiful and sunny.. the type of weather I was craving for, from months!! 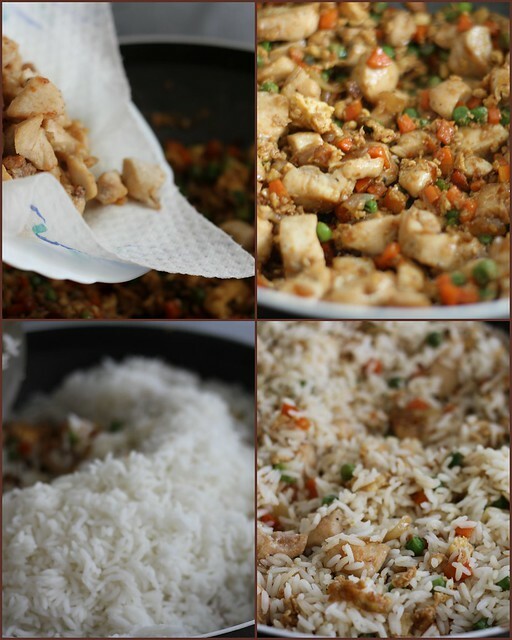 To celebrate the summer, we had this simple chicken fried rice for lunch yesterday. It is easy to make and tastes absolutely delicious!! 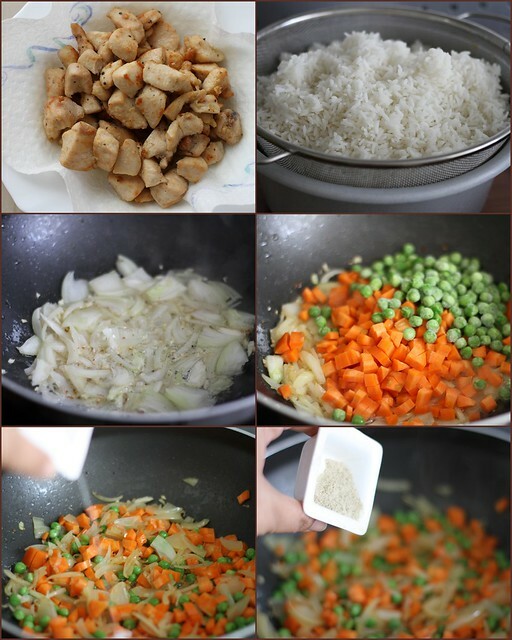 Cook rice in enough water, adding salt and little oil, till done. Drain and keep aside. 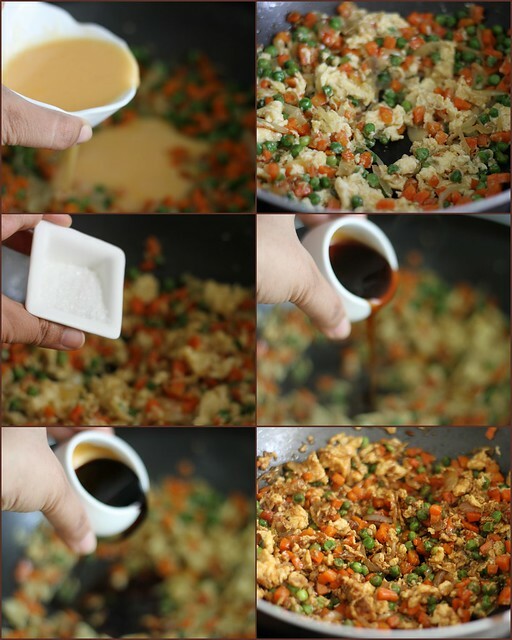 Fry chicken pieces in oil until fully cooked or golden brown. Drain on paper towels and set aside. Add some oil to the wok. Stir fry onion and garlic for a few seconds. 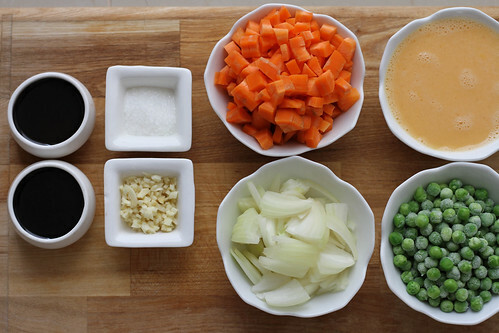 Add peas and carrots mix and stir fry until vegetables are done. Add in eggs and scramble. To this add Ajinomoto/MSG, soy sauce and oyster sauce. Mix well. 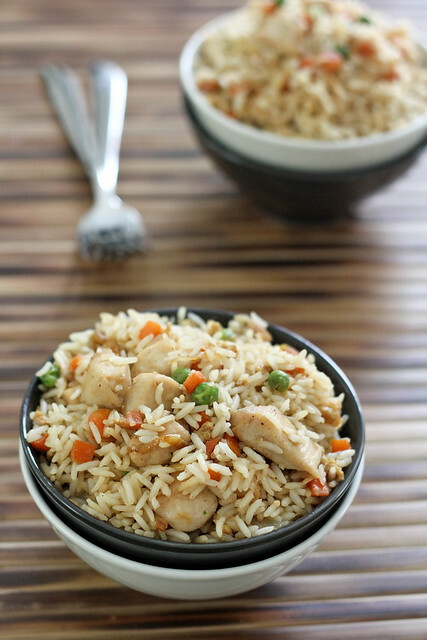 Add in chicken pieces and rice. Mix throughly. Adjust salt and pepper if required. Left over rice works best for this. You can use veggies of your choice and add bean sprouts, spring onions etc. ← How to make Paneer at home! The last shot is beautiful..and the rice look so fluffy and lovely! The rice looks nice and fluffy. I am not good at this dish .. it always gets mushy .. tasty ..but mushy! Yours is looking very nice and neatly presented! 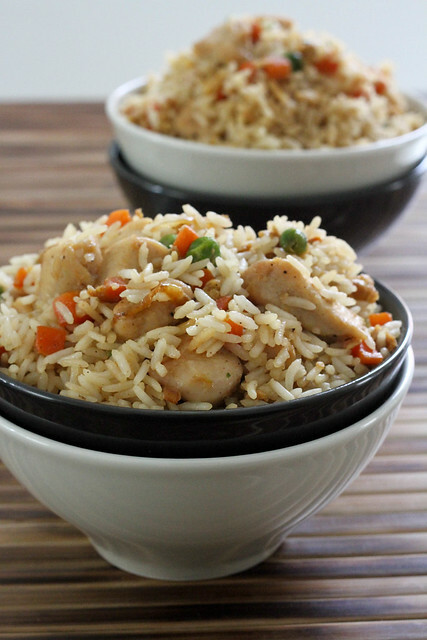 The rice looks and sounds absolutely delicious…. Your photographs are making my mouth water…. 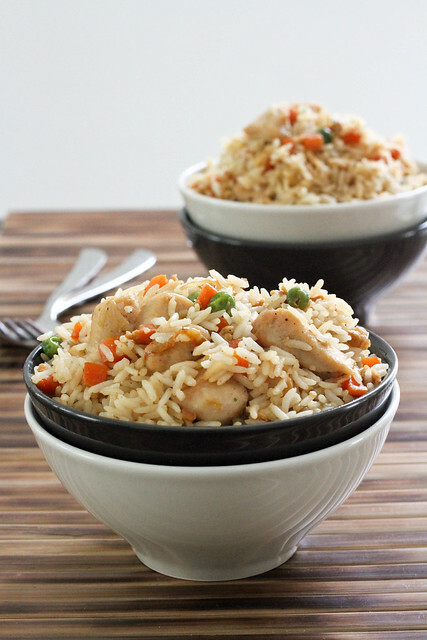 First time here…Chicken fried rice looks perfect and tempting…Beautiful clicks too dear.